The second Advertising Week Europe took place at BAFTA HQ on Piccadilly and various other locations around London recently. It’s a massive event – four days of talks, seminars and workshops, bringing together brand, marketing and creative folk from across the globe plus many special guests with a unique story to tell. 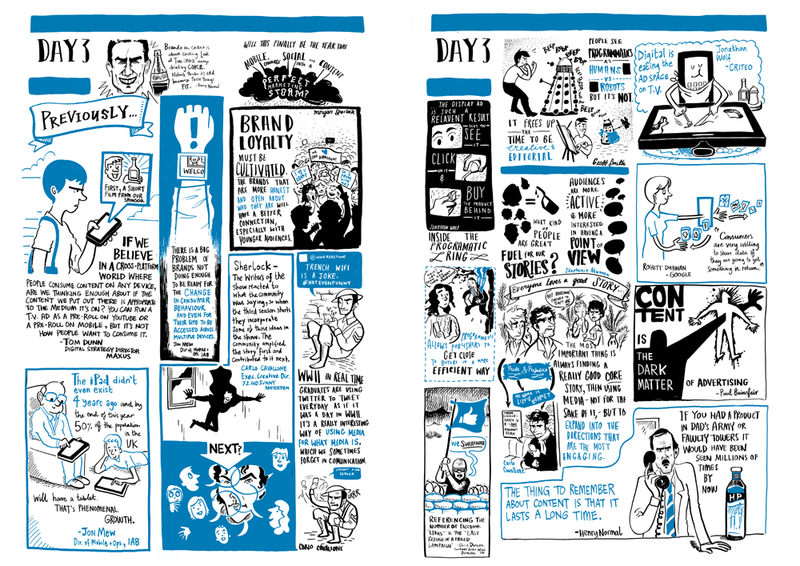 We linked up with LinkedIn to tell the story of the week in the form of a giant, hand-drawn magazine. 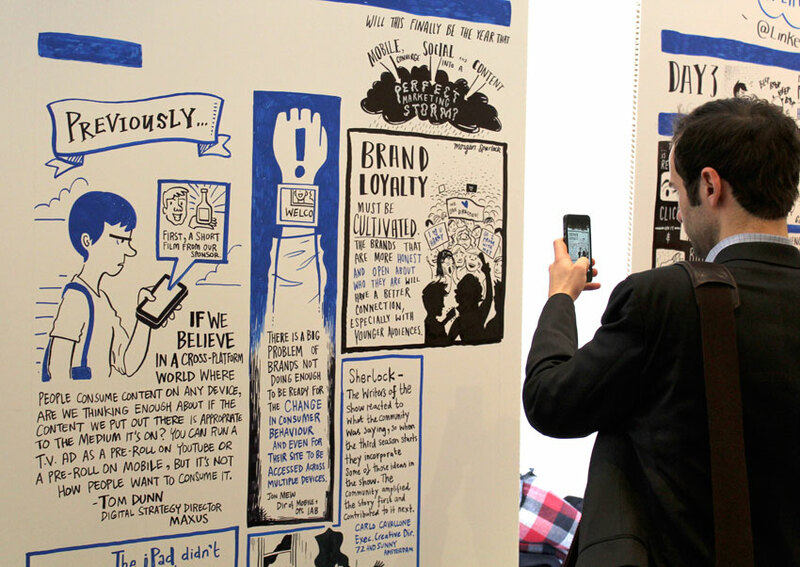 With four densely packed days of big ideas, creative problem-solving and cutting-edge analysis to squeeze in, it took a tag-team of committed scribes to get the job done. But we loved the results as much as the delegates did. Our partners at LinkedIn opted to share the magazine digitally on their Slideshare application. But, whether digitally distributed or printed on take-away pages, we believe this ‘live magazine’ format has much to offer at events of this kind.